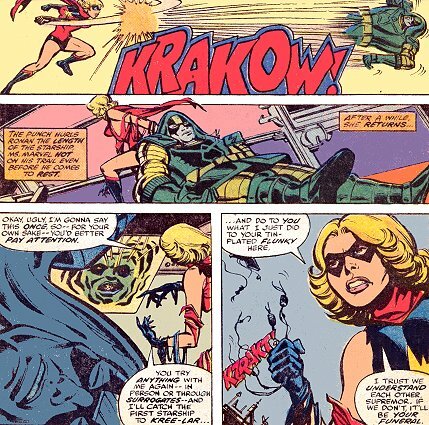 As for Captain Marvel - I don't really think of her as having iconic foes. Does she? She has become the first line of defense against extraterrestrial threats (especially Blue Kree, Skrull, Brood ...). Kree & Brood were involved into the origin of her powers. 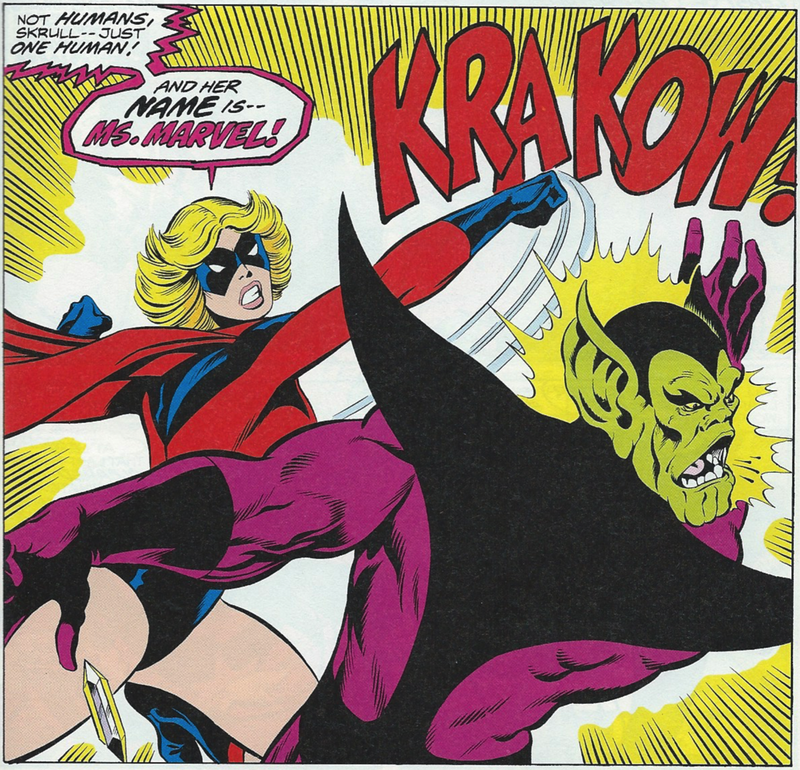 Skrulls are longtime foes of the Kree and are aware that she is connected to Mar-Vell. Also, when she was a Starjammer, she was an enemy of the Shi'ar Empire. 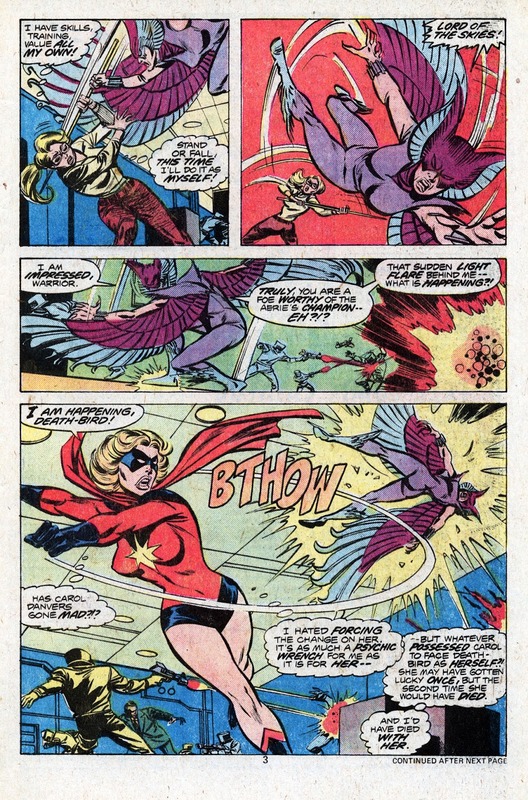 During the Bronze Age, her archenemies used to be Mystique & Deathbird. To this day, she still holds a grudge against them. 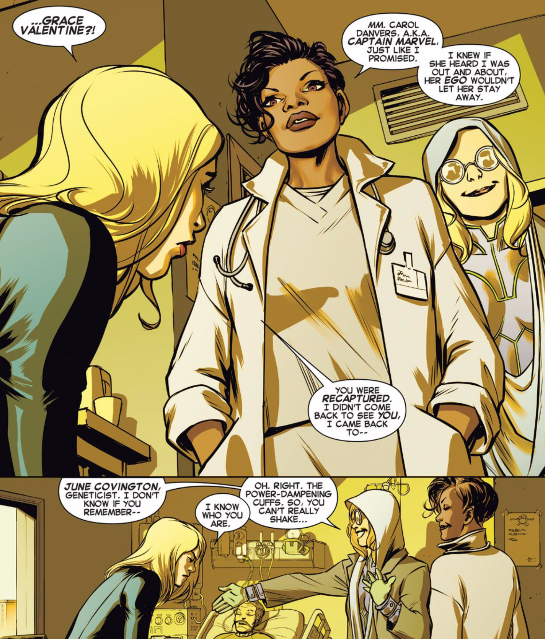 More recently, Grace Valentine was introduced as a potential archfoe (the equivalent of Veronica Cale for the Marvel Universe). J'Son of the Spartoi Empire is also in her rogues gallery. Apparently, the Skrulls will be her nemesis in the movie. Titannus might be the main foe appearing in the film. 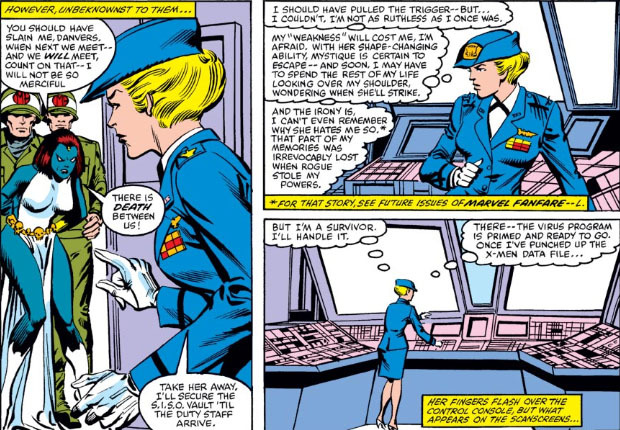 So, in the MCU, Titannus might be to 1990s' Carol Danvers what Thanos is to the Avengers and the Guardians of the Galaxy.